An Stad, North Frederick Street. | Come Here To Me! An Stad, North Frederick Street. There was a great atmosphere of nationality gathered about the Stad. It was a good place to slip out to at night, for one who lived about fifteen doors away, and to talk about the revival of Gaelic. Even if few people talked to me there was always Cathal, who was too civil and too much of a business man not to talk to anyone while waiting for a revival of the nation. Police intelligence files from the early twentieth century reveal that McGarvey’s was closely monitored by intelligence. 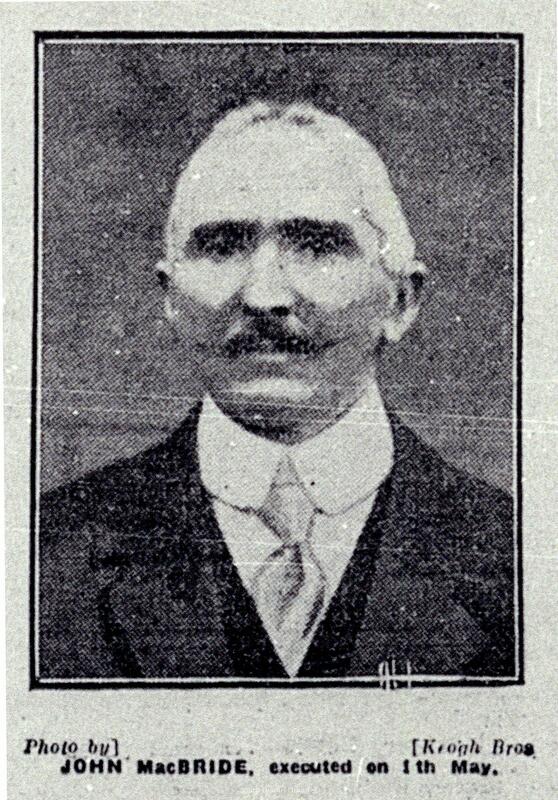 When Major John MacBride returned to Ireland from Paris, having fought in the Second Boer War with the ‘Irish Brigade’, it was noted by police intelligence that he frequented McGarvey’s, in the company of known ‘Secret Society’ men, a reference to the Irish Republican Brotherhood. MacBride was a well-known figure in Irish society for his exploits in South Africa, and had lectured in America to enthusiastic audiences on his fight against the British there, telling the media in New York that “‘Winston Churchill may say what he likes about the war in South Africa being over, but I tell you the war is not over. The Boers will fight just as long as there is a man, woman or child alive.” Following his U.S speaking tour, he had married Maud Gonne in Paris, but the marriage was a brief and unhappy one, leading him back to Dublin. Among the men spotted with MacBride at An Stad were Arthur Griffith (founder of the Sinn Féin party) and veteran Fenian John O’Leary. At the time of Cathal McGarvey’s passing, it was noted in the press that the visitor books would surely become a hugely important historic resource. 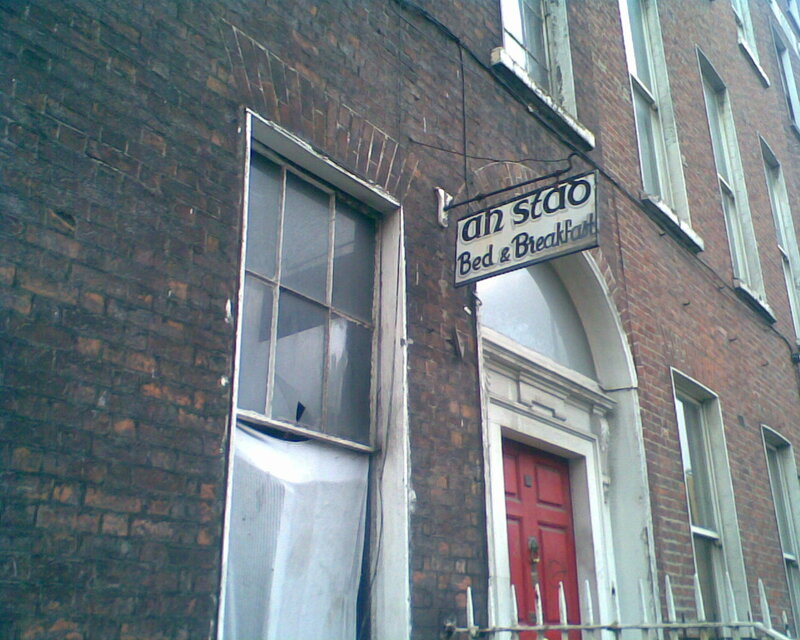 Having begun in 1900, and continued until about 1905, the books “contain entries of interest by every Irish-Irelander of note who lived in Dublin between those dates.” 30 North Frederick Street today is the building shown below, though a building further down the street at 43 operated under the name ‘An Stad’ in more recent times. The decay of 30 North Frederick Street today. In the years that followed independence, it remained a popular meeting place with republicans. It was managed for some time by Maire Gleeson, an active participant in the War of Independence who was a member of Cumann na mBán, as well as being active in the intelligence network of Michael Collins. With the coming to power of the Fianna Fáil government in 1932, republican prisoners were released from Arbour Hill, Portlaoise Prison and Mountjoy, with Frank Ryan among the twenty IRA men released by the new government. The Irish Press reported that many of the prisoners made by the well known meeting place, and that “An Stad Restaurant in North Frederick Street having been reached, the prisoners found the streets literally black with people to clasp them by the hand. Cinema apparatus was installed in front of the restaurant, and Mr. Frank Ryan was persuaded to address the microphone.” Five years later, in 1937, it was again the location for a celebration in honour of released republican prisoners, which included Moss Twomey, who had been IRA Chief of Staff prior to his arrest. In 1938, there was an abortive attempt by some members of the IRA to attack the Nelson Pillar on O’Connell Street. Tim Pat Coogan has noted that the plan lacked the sanction of IRA Chief of Staff Sean Russell, but that the plan had been “to set the explosives, withdraw and notify the police, giving them time to cordon off the area.” Coogan interviewed an IRA member of the time who told him that men had actually walked down O’Connell Street with wads of gelignite on their person, before the mission was abandoned. The men had set off, naturally enough, from An Stad! An Stad itself was raised by the authorities on several occasions in this period, who clearly regarded it as an institution affiliated to the republican movement. While it remained an active guesthouse in the decades that followed the 1930s, its affiliations with the advanced nationalist movement seem to have weakened. It seems a real shame that such an important meeting place of the early twentieth century is unmarked by any plaque. This is what it looked like last June (Google Street view). Clearly getting worse. This house looks different to the original one in black and white, which I think was further up the street. A few errors in this very interesting article. Dates etc? Brigid, An Stad was located at 30 North Frederick Street according to news reports, it’s Wiki and other sources (http://en.wikipedia.org/wiki/An_Stad) That’s 30 today, perhaps street numbers have changed. What date errors do you think are in the piece? Your point on the street numbers is interesting. I guess the definitive way of finding out would be Thoms directory for the period. Certainly the present No.30 doesn’t look like it was ever a shop, though, as I know from personal experience, shops then were often in ordinary houses. 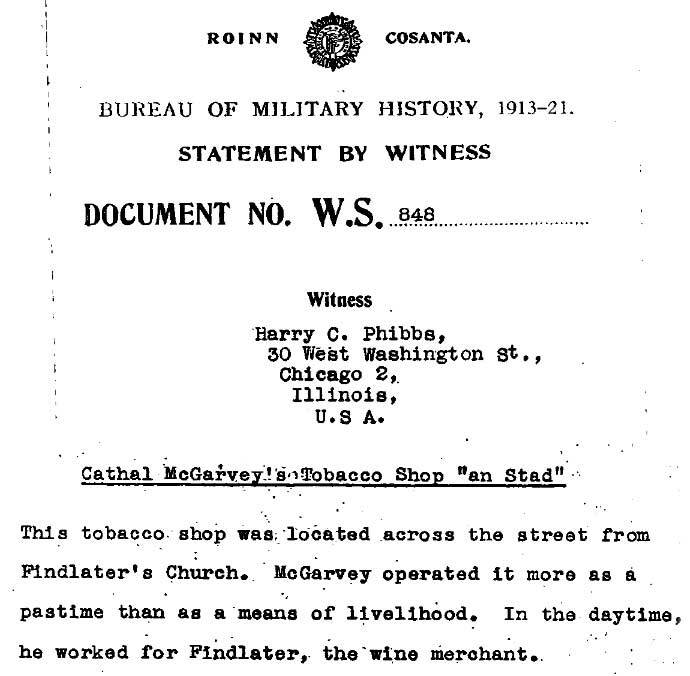 Phibbs, in his Bureau of Military History statement describes the shop as being “across the road from Findlater’s church” which would suggest the Waltons side of North Frederick St., and he claims to have actually been in the place. A nice little mystery for someone to solve. Error: having begun in 1990 it to 1905. 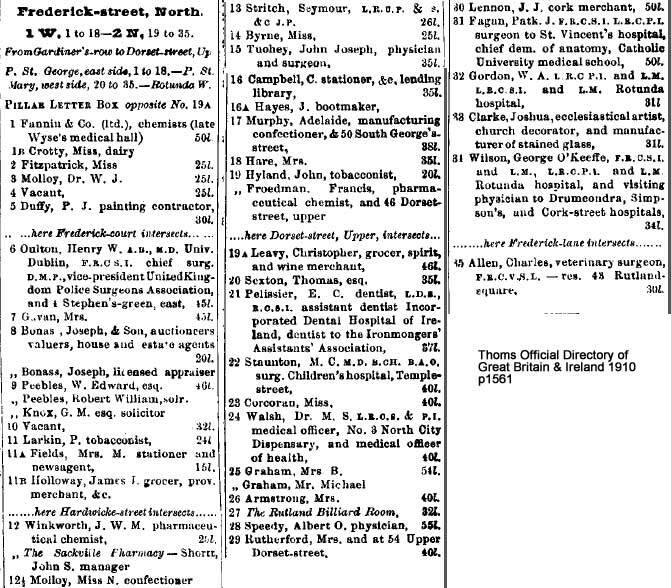 Had a quick look in some Thoms directories. 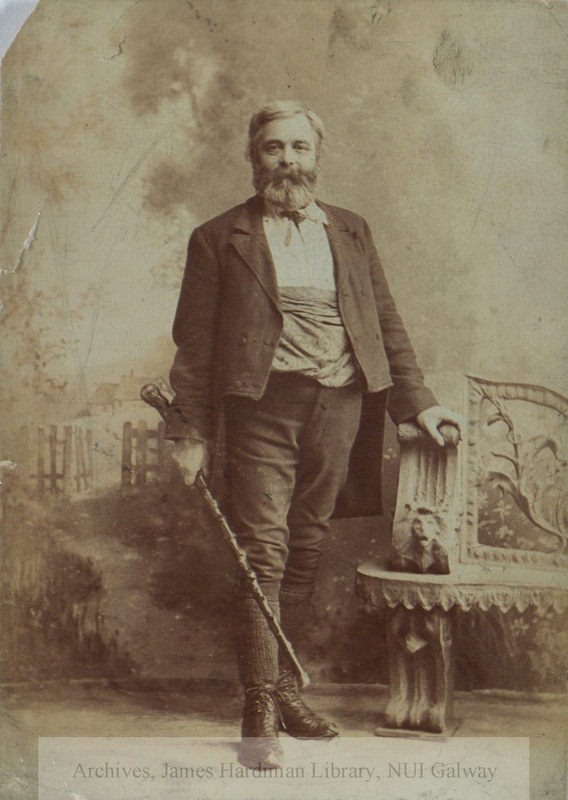 In 1890 No. 30 is listed to George Collins (solicitor); in 1900 to John Davys (physician and surgeon); from 1909 to 1930 to JJ Lennon (cork merchant). Doesn’t look like much help. 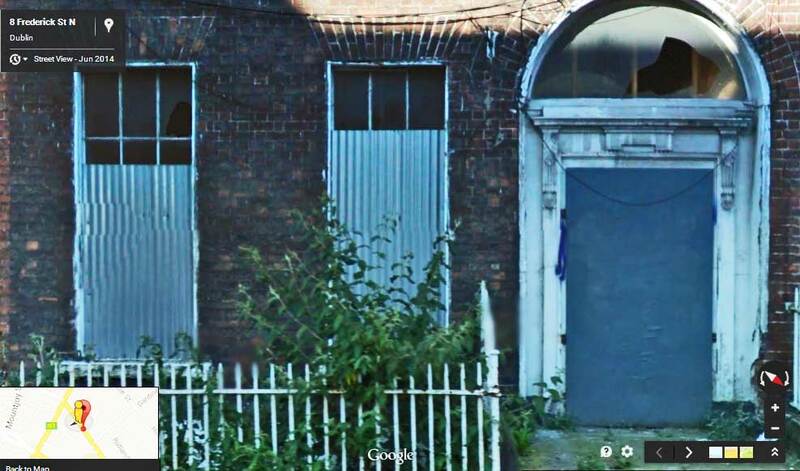 I’m puzzled by the reference to 43 Nth Frederick St. As far as I can make out from the years quoted above, the numbering only went up to 35 and that number is still showing on the premises beside Findlater’s curch. This is from Thoms Directory 1910. It might be some help. 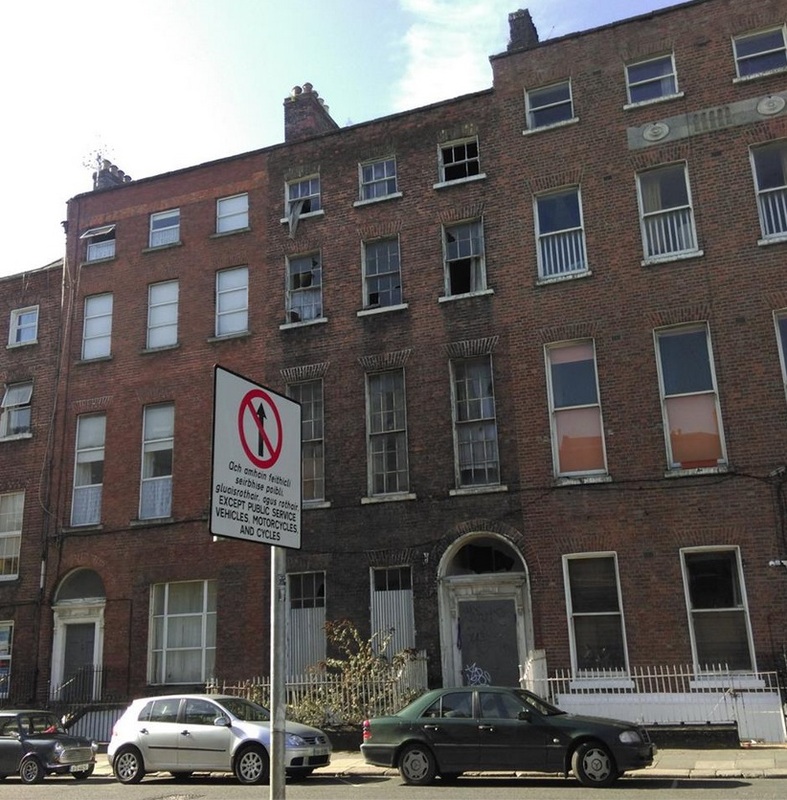 Piece in today’s Irish Times on the back of the building starting to fall down. Looks like it’s got to be 30 then. Had just tweeted on the state of Boland’s Mills yesterday.